It's beginning to look a little bit like a new Wing Commander game might be in the works. It's been awhile since we last saw a Wing Commander game, which I blame primarily on the hilariously awful Wing Commander film from 1999, but the memories of that cinematic travesty may have finally faded enough for somebody, somewhere - like, say, series creator Chris Roberts - to think about bringing it back from the dead. 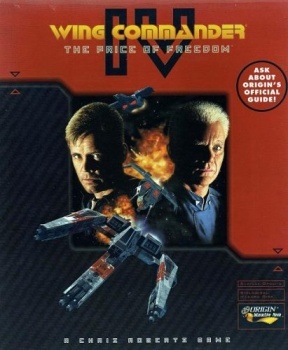 Back in August, Roberts said in an interview with G4 that he really wants to do another Wing Commander game and has a "very specific vision for it." "I think I could come back and push the boundaries of cinematic storytelling again. I'm looking at some of the stuff that's been done and it's sort of, in my eyes anyway, falling short, and it's not because of the technology. It's falling short because of how it's been done," he said. "I feel re-energized, and I think I can come back... and push forward parts of the industry in terms of narrative and cinematic storytelling." Declarations of "I still got it" are a dime a dozen but as the Wing Commander Combat Information Center discovered, back in April the Detroit News carried an article about tax breaks for movie and videogame projects in Michigan that quoted Chris Roberts of Bl!nk Media International as saying that he "wants to make a videogame that would take years to build and require full-time workers." The game in question, he said, would create 112 jobs and have a budget of just over $31 million. Turns out, according to LinkedIn, that the Bl!nk Chris Roberts and the Wing Commander Chris Roberts are one and the same. But what's really interesting is this: a chart included with the article listing various projects planned for or underway in the state includes a line describing a videogame with a $31 million budget, 112 planned hires and a list of "scheduled project actors" that includes Mark Hamill, Malcolm McDowell, Tom Wilson and John Rhys-Davies. BAM! There's been absolutely zero said officially and as the CIC notes, it's possible that the Detroit News put together the list of actors on its own, based on the past Wing Commander games. But 15 years is a long way to reach back and many other entries on the list, several of which are named projects, indicate that casts have yet to be determined. Does it mean that a new Wing Commander is imminent? Definitely not. Does it mean that Wing Commander fans might want to start paying a little more attention to what Roberts is up to? That, I think, is a definite yes.